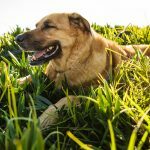 Your dog is most likely an important member of your family and enjoys spending time playing with you outdoors. All seasons have specific safety hazards to keep an eye out for, and winter is no different. Temperature, ground conditions, and other factors can pose some safety concerns for your dog. Here are some tips on how to address winter health issues before they become a problem for your pet. Dogs should get a wellness check-up once a year, so before winter hits could be a good time to schedule one. The cold weather and dry air can exacerbate some medical conditions like skin issues or arthritis. Ask your vet for advice on how to manage those conditions and keep your dog comfortable during the winter months. Also talk about nutritional health with your vet. Offering specific foods, extra water, and adding a humidifier to your home can keep your dog hydrated and their skin in better condition during this season. Check to make sure your dog’s tags and/or chip registration is up to date with your current contact information. More dogs tend to get lost during the winter if they slip off the leash or escape the yard. Snow and ice on the ground can cover some of the normal scents they are accustomed to to find their way home. 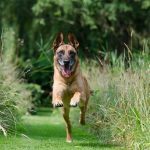 If you want to go really high tech to keep tabs on your dog, a GPS dog tracker can clip to their collar and help you locate them more quickly. Every dog’s tolerance threshold for cold weather may be different. It varies by breed, coat length and thickness, size, and age. Smaller, older, or shorter-haired dogs may get cold quickly and need a sweater or coat for them to tolerate the outdoors during this time. Bigger, long-hair dogs such as Huskies and Shepherds may be able to handle the cold better, but still should limit outdoor time when it’s near or below freezing temperatures. Diabetes, kidney disease, heart disease, and hormonal imbalances such as Cushing’s Disease can also make it more difficult to regulate body temperature and make your dog more prone to sensitivity to the cold. If you do go out for a walk, be sure to check your dog’s paws frequently for signs of injury or damage. 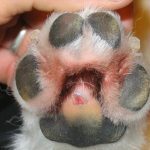 Cold weather injuries, such as cracked or bleeding paw pads and frostbite can occur. Massaging paw protectants like petroleum jelly on paws before and after walks can help limit injuries and irritation. Signs of frostbite include discolored skin, swelling, and blisters. Clip fur between your dog’s toes to discourage ice and snow from accumulating there. Hypothermia can also occur from extended exposure to cold weather and can be life-threatening. Be aware of signs of shivering, shallow breathing, weak pulse, and lethargy. If you notice these signs, get your dog inside somewhere warm and call a vet if condition worsens. When it’s too cold for a walk, your pet will still need to go out occasionally to go to the bathroom and get some exercise. If you have a fenced-in yard or patio, a doggie door can make it more convenient for you and your pup. Electronic options close completely to ensure cold air stays out, and you can program them so your dog only has access at certain times. Just be sure to do your research to find the best door for your home and your pet. Bring a small towel with you on longer walks with your dog and clean off their paws periodically to keep them comfortable. After walks, wipe your dog’s paws, legs, and belly. De-icers and other chemicals might be sticking to your dog’s body, and you don’t want them to ingest it if they decide to clean themselves. Try not to bathe your pet as often during the winter. It can remove oils and dry out your dog’s skin more quickly than during summer months. Use a moisturizing wash and rinse or try a water-less shampoo during the cold weather season. Avoid shaving your dog’s fur in the winter. Their thicker, longer fur will help protect them outside and keep them warmer. 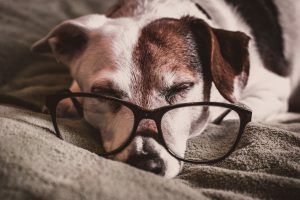 Your dog will need some options for comfortable sleeping arrangements, since he may get warmer or cooler in your house at different times just like we do. Keep a soft dog bed or blankets in a few different rooms depending on where the dog might hang with you. Think about gifts and seasonal items that come into your house during this time. Chocolate candy is a popular gift item that can be harmful for your dog. Poinsettias, common holiday decorations, are also toxic when ingested by children and animals. Remember that antifreeze is also poisonous, even in small amounts. Clean up any spills outside immediately and store it where your dog cannot access it. Keep these tips in mind and your dog will weather the winter season happily by your side. In 2017, 89.7 million dogs lived in homes across the United States. Dogs are a big part of our culture, as well as our family, but let’s face it: they’re a lot of responsibility. 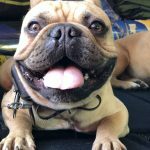 Keeping your dog clean is hard enough, but getting them to be well-mannered and behaved is a whole different beast (no pun intended). Manners aren’t tricks or commands, but rather a consistent behavior. 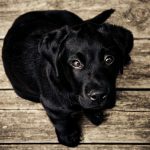 Why are good manners important for your dog? Not only does it make for better social interactions, but a friendly, polite dog is happier and better adjusted. 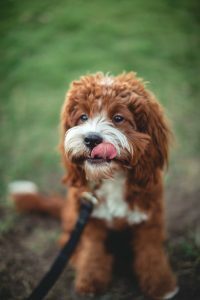 Taking your dog on a walk is fun and good exercise for the both of you, but it feels more like a chore if your dog is having difficulty with leash training. Walking a rowdy dog is frustrating and disruptive, so it really tries your patience. Dogs can read your body language and this can affect their behavior, so even when you’re nearing your wit’s end, keep your cool. 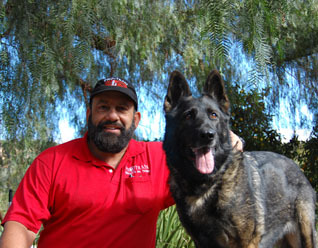 Use a calm voice to instruct or correct your dog to communicate a sense of security and well-being. 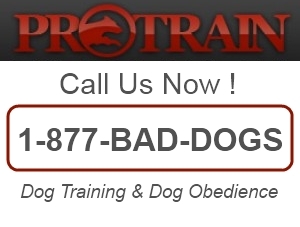 If you have a dog that pulls the leash, it’s not necessary to reprimand; they may not even know what they’ve done “wrong”. 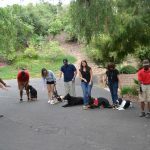 Don’t pull back on the leash either, as this can hurt your dog and reinforces the idea of pulling. 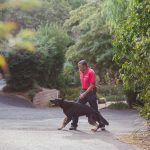 When your dog increases tension on the leash, begin to slow your pace accordingly. If they begin to outright pull, stop walking entirely until your dog stops pulling. 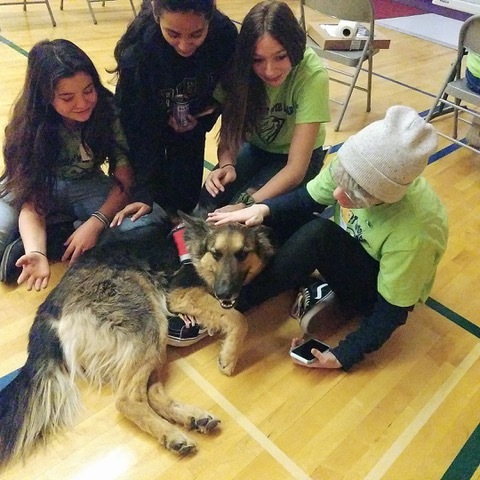 When they stop, give them a pet and a treat to reward them for doing the right thing. Just like people, dogs are social animals and enjoy interacting with the world around them. Also just like people, they don’t immediately make best friends with the new “kid (aka dog) on the block”. 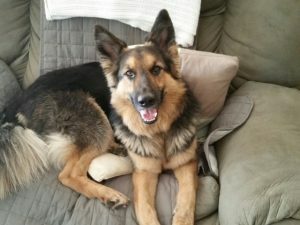 A dog that stays calm and collected when they come into contact with another canine influences the whole situation in a positive way, especially if the other dog isn’t as well-behaved. This not only reduces the odds of confrontation, but they may even make a new buddy. 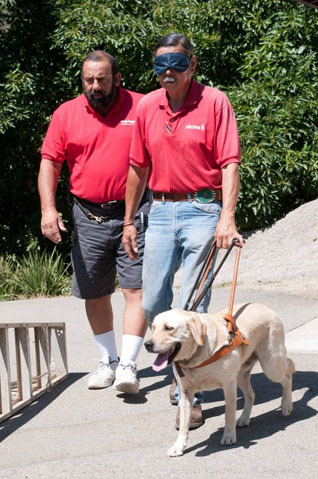 When introducing two dogs, do so on neutral ground, and keep both dogs on leashes. Take both dogs on a walk, keeping around ten feet of distance between them, so they adjust to each other’s presence. 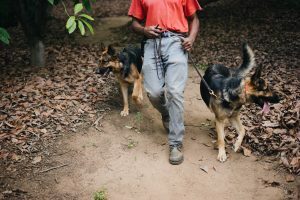 Finally, move them closer to each other towards the end of your walk, and give lots of positive verbal cues to let your dog know everything is okay. Let the dogs sniff each other for however long they want to, so they don’t feel rushed, and continue to give them praise and “pets” to keep them calm until they show signs that they’re feeling more confident about the situation. Manners are a learned behavior, so forming goods ones doesn’t happen overnight. You wouldn’t expect a child to learn to say “excuse me” in the course of just one day, and the same goes for furry family members. Whether teaching manners or training to do tricks, there’s one last thing you should always keep in mind: patience is a virtue.